What Is Bugging Out All About? I started this blog to accompany a new book that I'm currently completing entitled: Bug Out: The Complete Plan for Escaping a Catastrophic Disaster Before It's Too Late. The concept for the book came to me after browsing through the wide array of new survival guidebooks on the bookstore shelves and realizing that most of them focus on the "how-to" of survival, and have little or nothing to say about the "where-to." Since most people living in city or suburban settings around the U.S. may have little knowledge of the wide variety of wild lands in their region that might make for viable bug-out locations, I decided to write a region-by-region guide to some choice places that would work for the purpose. There are, of course, more such locations in the U.S. than could be covered in detail in a single volume, so here on Bug Out Survival I intend to expand on the contents of the book, as well as write equipment reviews and a wide assortment of related posts. 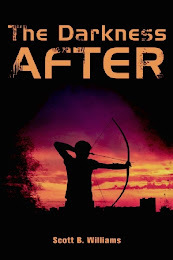 The tentative publication date for the book is set for April, 2010. 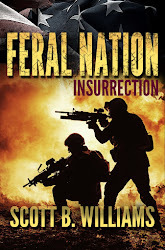 It will be published by Ulysses Press, of Berkeley, California, publisher of such survival genre titles as Ultimate Guide to Wilderness Living by John McPherson, Special Forces Survival Guide by Chris McNab, and Patriots: A Novel of Survival in the Coming Collapse by James Wesley Rawles. Updates regarding the release of the book will be available on the Ulysses Press website and will of course be posted here as well. Is Bugging Out a Viable Plan? What is a Bug-Out Bag (BOB)? The concept of a "bug-out bag" means different things to many people. It is frequently referred to as a "72-hour kit," packed with just the gear and food and water you expect to need for an evacuation of three day's duration. This is fine for many situations, but this kind of short-term planning is not the primary focus of this blog or of my bug-out book. 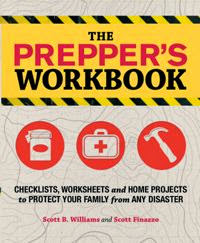 What I advise instead is a bug-out bag packed with a survival kit that will enable you to escape a catastrophe and function in a remote wild area without outside assistance, whether for just the first 72-hours or much longer. This means carrying everything you need to provide yourself with the essentials of survival: shelter, fire, water and food. The items that go into such a bug-out back have to be chosen carefully and must be the optimum tools for the jobs required of them, because replacements will be unattainable. 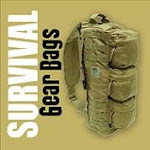 Bug-out bags and the contents that go in them will be the subject of many posts in this blog. What is a Bug-Out Location (BOL)? A "bug-out location" (BOL) can be anything from a carefully-prepared private retreat on land that you own to uninhabited wilderness land owned by the state or federal government. For most urban and suburban people who do not own such property in the country, public lands or remote private lands with absentee owners are the only option. This is not the dismal situation that it seems. The United States is blessed with public lands, with a whopping 30 percent of the entire nation's land area, or nearly 650 million acres, owned by the federal government. Bug-out locations make up a large part of my book, which divides the Lower 48 States into eight major regions: The Gulf Coast Southeast, The East Coast, the Appalachian Corridor, The North Woods, The Midwest and Heartland, The Rocky Mountain Corridor, The Southwest, and The West Coast. In each of these regions I describe many specific examples of good bug-out locations, including swamps, river drainages, barrier islands, mountain ranges and deserts, depending on the region. Most of these locations are on public land of some type, including national and state forests, national and state parks, national and state wildlife refuges, national wild and scenic river corridors, U.S. Army Corps. of Engineer's land, and Bureau of Land Management (BLM) land. Some regions of the U.S., especially in the West and parts of the far north and in the Appalachians, have huge tracts of national forests and designated wilderness areas that you can choose from as bug-out locations, many of which are accessible only on foot or horseback. Other more densely populated regions such as the Southeast and East Coast, are more limited in the availability of big wilderness, but still have large unihabited areas along the course of rivers and the shores of bays, marshes and barrier islands. In many of these areas where public land holdings are smaller, there are still large areas of uninhabited land owned by corporations such as timber companies or by individuals who live elsewhere. Some of the best bug-out locations, are in fact in just such places that few outside the immediate area even know about and that little has been written about to promote visiting for outdoor recreation. Many such places are described in my book and will be the subject of posts in this blog. Finding a good bug-out location is a matter of exploring potential areas near your current location, beginning with tools such as maps and Google Earth and then on the ground by actually getting out there. Advance planning and scouting will also be a big part of this blog. A lot of posts I read on various survival forums and other online sources suggest that bugging out is not at all a feasible option in a SHTF scenario. These posters would have you believe that you cannot find enough to eat in the wild and that if you move out with a bug-out bag in search of safety, you will just become another refugee. Well, that may be true for some of the people that promote those ideas, but the truth is that those who take the time to acquire the knowledge and skills necessary can indeed survive in the wild using a bug-out strategy. Try to remember that the hunter-gatherer lifestyle has been the predominate way of life for the bulk of human history, and in comparison, the industrial and even the agricultural way of life has been but a blink of the eye. Will the SHTF anytime soon? I sure hope not. My approach is to "expect nothing, but be prepared for anything."